Hey guys. I blew the reverse switch out on the transmission twice trying to wire in a reverse light. Can anyone tell me how to wire in a relay or how I can have this light come on only when I put it in reverse? The real issue is that that switch makes ground when something on the countershaft touches it...and its only rated to provide a ground for that one tiny led in the pod. But..it will handle the mA it takes to operate a relay. So, you use a standard relay and wire it to use the coil's ground as a trigger, using the Brute's reverse light switch as it's ground. If this is confusing I can lay it out for you. Or there are a number of diagrams on the net you can refer to. Here's one. #85 will go to the reverse light switch and 87 will go to your light. I strongly suggest instead of getting power from the battery, you get it from a keyed source so when the key is off, so will the light. I did mine first like this,backed it out of my shop, shut it off and left it long enough for the battery to go dead. Fixed that right away. Relays are pretty cheap too. Here's a couple with fuses. I was also getting ready to wire a reverse light. 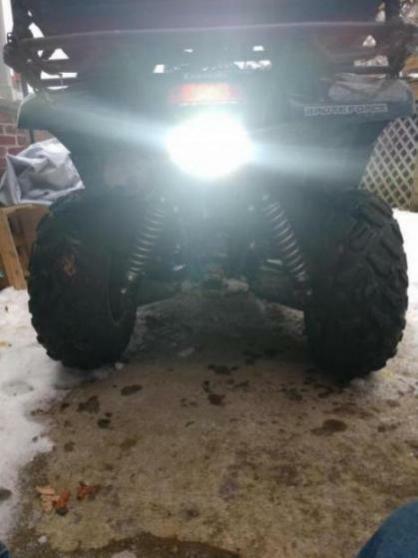 So you shouldn't just hook a light up to the two wires coming out the back of the quad? Mines a 2014 and has the two wires in the rear which i thought was just plug and play. I need a relay and a switch (or wire to a key switch)? Sorry, didn't mean to hijack anyones thread. Maybe it helps with answering both our questions. Those wires have had different uses over the years so check the manual and/or the wiring diagram and see exactly what their purpose is. That may well be backup light wires..I don't know. On our 2008, i wired a led cube to that plug and boom instant back up light that works in reverse and turns off when not in reverse. Years do make a difference on what that plug is for I believe. I got a pretty confused. If I get that relay I wire that to a keyed source to the light and then ground the light to the reverse light wires on the quad? No...let's see if I can explain. 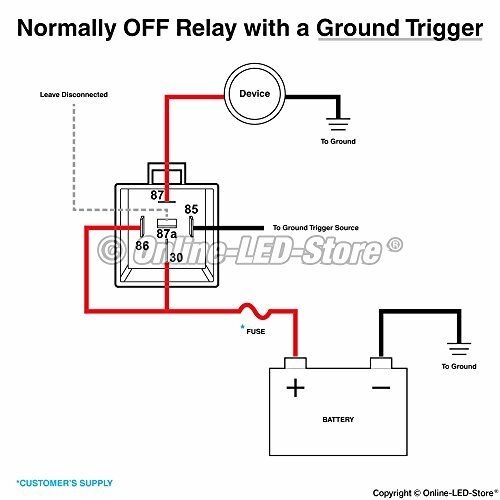 A relay is a contacter for lower power things like 12 volt stuff. A contacter has a coil that when activated, makes a magnet that pulls a metal piece down to bridge power between two other poles..the line and the load poles, in this case #s 30 and #87,..the ones that supply power to your light. That coil will have power on it all the time the key is on as you see as it gets it's power from your keyed source, #86, but it needs a ground to make that magnet...so the ground side of that coil, #85, is hooked to your reverse light switch...as that's what it does, provide a ground for the LED in the dash....and as the relay coil uses so little power...in the .026 mA range, the reverse switch won't even notice it so when in reverse it will provide a ground for both. Now..as for the light, the power will come from the relay but it's ground will go straight to the frame..nothing else. OK? Last edited by NMKAWIERIDER; January 23rd, 2019 at 09:27 AM. Ground light to chassis ground. If anyone can explain it better please let me know. Thank you. Thank you for the help! I understood this eventually and got everything wired up and it works great!